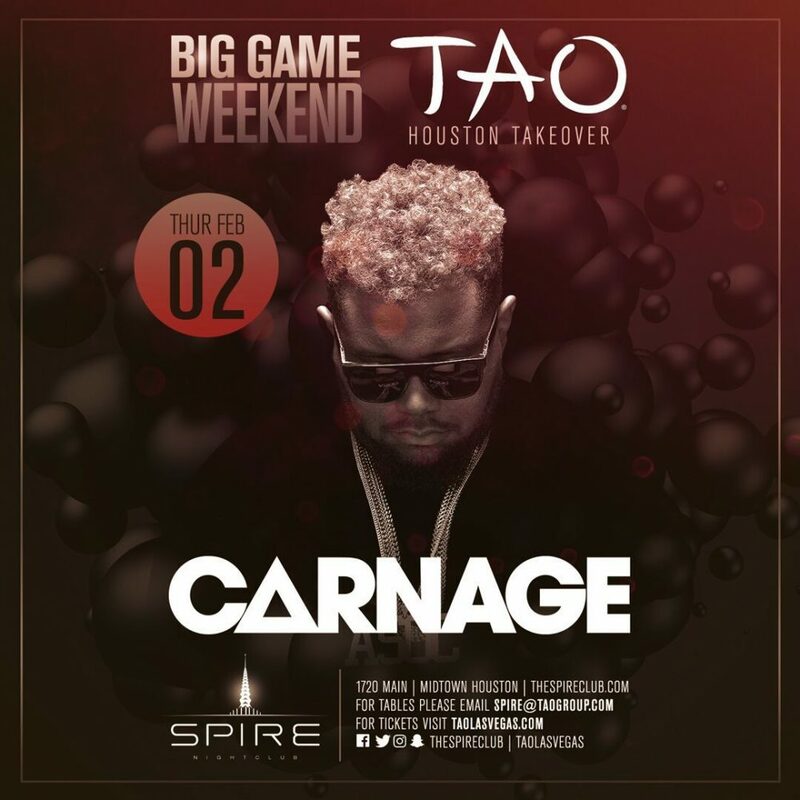 Tao is taking over Houston’s hottest new club during the biggest game of the year. Limited tickets available at the door, however walk-ins are not guaranteed entry. NOTE: THIS EVENT IS FOR OUR HOUSTON POP UP LOCATED AT SPIRE. TICKETS WILL NOT BE VALID AT TAO LAS VEGAS. TAO ALL ACCESS WRISTBANDS NOT VALID FOR THIS EVENT.